Today, for Tricia’s Barn Charm, I’m sharing a picture of another barn we saw while on our Fall Foliage trip to West Virginia last year. 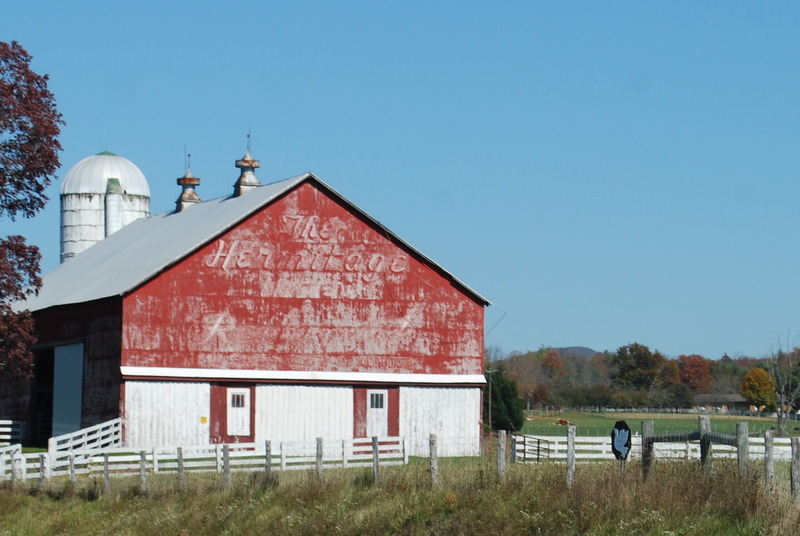 This one was also near Green Bank, West Va.
It’s interesting that barns were sometimes used as “billboards” back in the day. This barn and the surrounding property seem to be taken care of rather well. But I’m glad the owner hasn’t painted over the advertisement for “The Hermitage”. Whether this barn was encouraging folks to visit that particular restaurant or some other attraction by that name, we thought it was a rustic reminder of yesteryear.